Keeping your energy bill low this summer in South Florida can be a chore. Between work, cleaning, and other household chores, keeping your AC unit in top shape can be at the bottom of the list. Keep your wallet happy with these easy tips on how to keep your energy bill low and save money this summer! Simply turning off lights when you leave a room can equal a decrease in your energy bill. Make sure when you leave the house that all lights are turned off so no energy is wasted. If your lights are not updated, they can be using much more energy than a fluorescent light bulb will. One of the best ways to keep the air in your home circulated and fresh is to run your ceiling fans. Fans do not use a lot of energy themselves, so they are perfect for circulating air around the house. In the summer, fans need to rotate so that they pull the hot air up and remove it. In the winter, fans should rotate so that they push warm air down to keep the room heated with less effort by your HVAC unit. If your air conditioner is not running as smooth as it could, or if there are problems with it, you will definitely pay more for your energy bill. From old air filters to dirty condenser coils, periodical maintenance of your AC unit will keep the cost of operation down. Overall, keeping your air conditioner in top shape will save you the most money. This is one of the hardest habits to get into, but can be one of the biggest savers. Any electronic should be unplugged if you are not home and using it. The easiest way to do this is to connect your devices to a power strip and turn the strip off when you leave. This eliminates the need to unplug every single item that uses power. 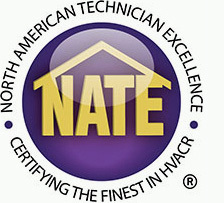 If you want to have your air conditioner in top shape, we have the professionals to do it. Whether you need a maintenance check up, or a full AC install, Palm Air will provide you with the best experience possible. 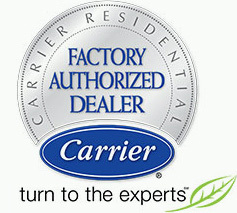 Contact us today or schedule a service online to have your air conditioner running like never before!